The hopes and concerns of young Australian Catholics were given a voice at an Australian Catholic Youth Council workshop in Sydney yesterday. 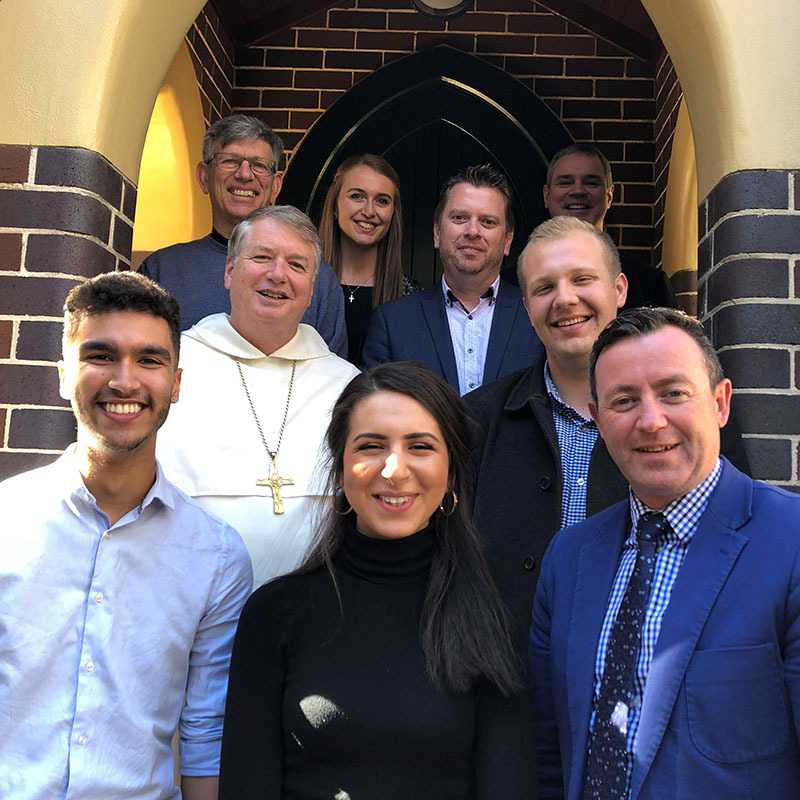 In preparation for the upcoming General Synod of Bishops on Young People, the Faith and Vocational Discernment, Australia’s Synod delegates Sydney Archbishop Anthony Fisher OP and Melbourne Auxiliary Bishop Mark Edwards OMI listened to attendees and discussed a wide range of issues. The meeting follows the release of results from the largest ever survey of young Australian Catholics. The survey, which received more than 15,000 responses, found young people are concerned about mental health, questions around identity, loneliness, relationships and friendships, the direction of society, politics and the Church, and living out their faith in the secular world. Archbishop Fisher said the workshop confirmed his confidence that young people have a great deal to offer the Church and the world, and that the Church has much to offer young people. “I’m very excited to take to the Synod in Rome the concerns and dreams of young Australians,” Archbishop Fisher said. Bishop Edwards said: “There is so much to do to have an even more effective youth ministry in Australia. “It’s almost overwhelming – where do you start?” he said. Sydney’s Ashleigh Green and Angela Markas, from Melbourne, both attended preparatory meetings for the upcoming Synod. They spoke yesterday about their experiences of being young Catholics in the current climate in Australia. “One of the greatest things I took away from my time in Rome as an Australian youth delegate was that the diversity of the Catholic Church is what makes it so beautiful,” Ms Green said. Miss Markas, 22, who visited Rome in March this year, said it was important for young people to experience the power of being listened to and embraced for who they were. “I think the young heart desires to be transformed and to transform others as well,” she said. “Today’s workshop is crucial in this process of sending strong messages to all young people that the Church is listening to them and they are important. Workshop attendee Sebastian Duhau, 22, from the Diocese of Parramatta, said: “I think the Church needs to restructure how it approaches, forms and supports young people in their lives. This entry was posted in Uncategorized on August 15, 2018 by ACBC Communications.